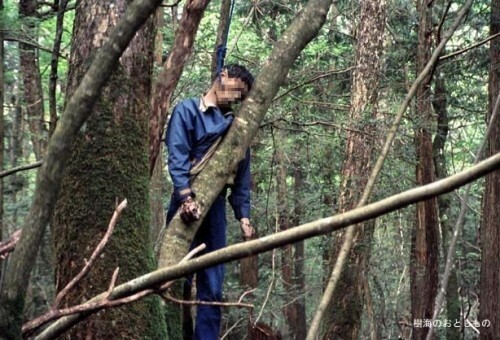 Referencing Wataru Tsurumui’s bestselling book “The Perfect Place to Die – The Complete Manual of Suicide”. 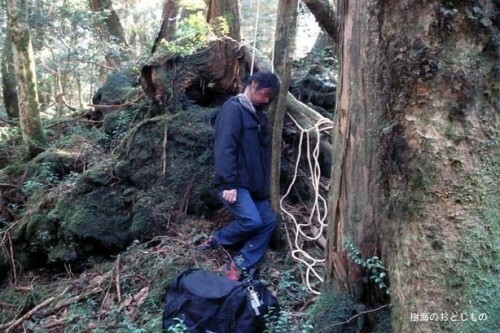 Aokigahara is know as a dark, thick forest located at the base of Mount Fuji, now know as a popular suicide spot. 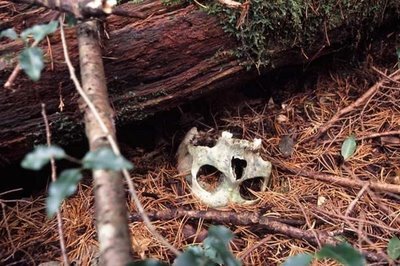 Now no one knows exactly how many bodies go undiscovered among the Mount Fuji forest, but the ones uncovered so far have already earned this place an eerie reputation. 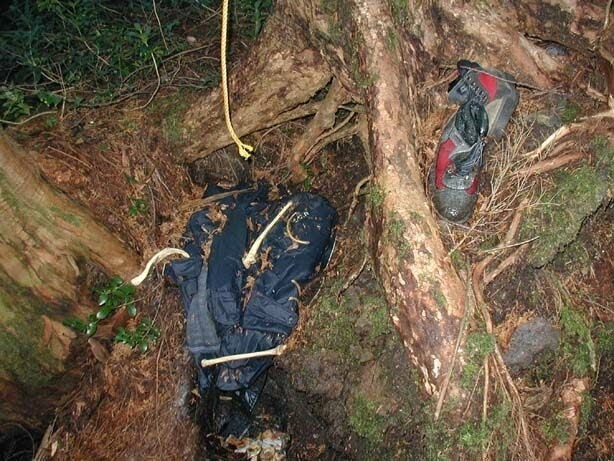 In 2002, 78 bodies were located in Aokigahara. 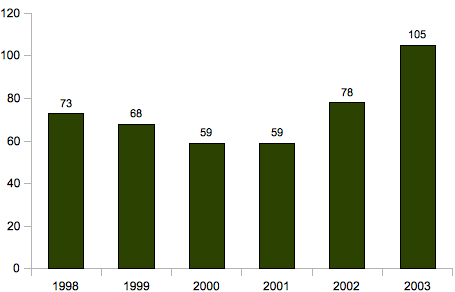 In 2006, another 16 suicides were reported. Some of the victims even carried copies of Tsurumui’s book “The Perfect Place to Die” with them, which makes this even creepier. 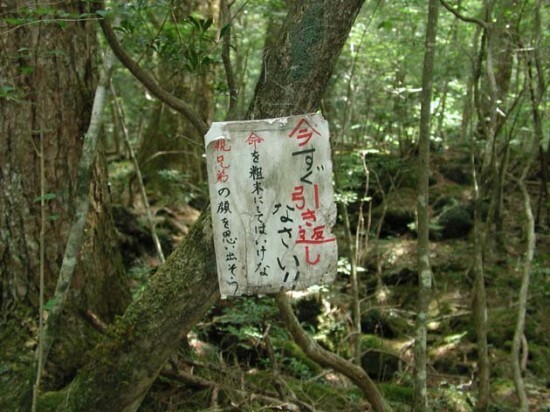 The forest is covered with signs the plead for people to “please reconsider!” or “please consult the police before you decide to die!” but obviously these have little power on those determined to die at the base of Mount Fuji. 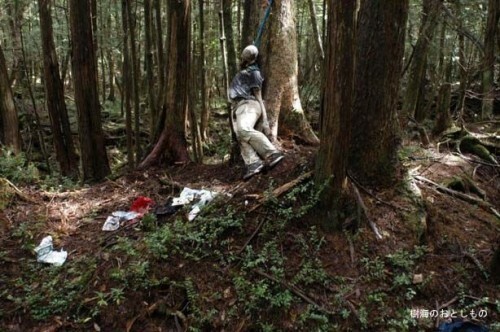 The mayor of Aokigahara blown away by the high number of suicides registered in the area says “We’ve got everything here that points to us being a death spot. Perhaps we should just promote ourselves as ‘Suicide City’ and encourage people to come here”. 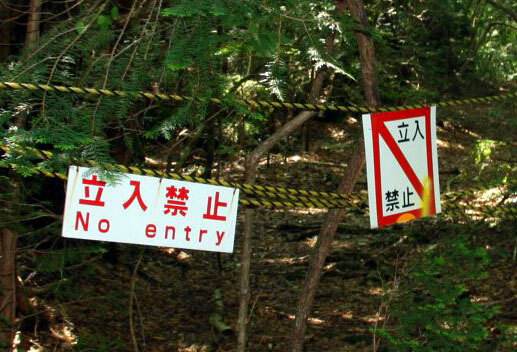 Locals say they can always tell those of who is going into the forest to admire its amazing beauty, and those who aren’t planning on ever coming back. 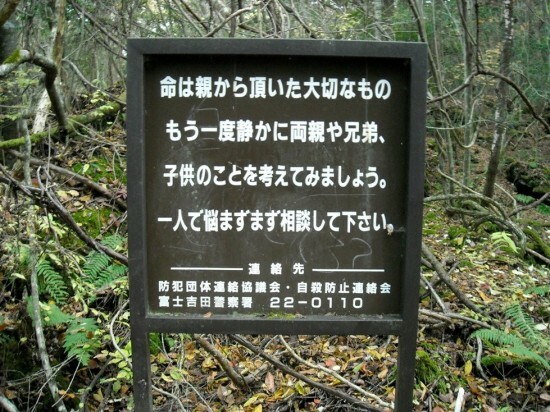 They say part of the reason people decide to commit suicide in Aokigahara forest is because they want to die at the foot of the sacred Mt. Fuji and because it’s so dense and thick it makes it hard to hear any sort of sound even from a few kilometers inside the forest. 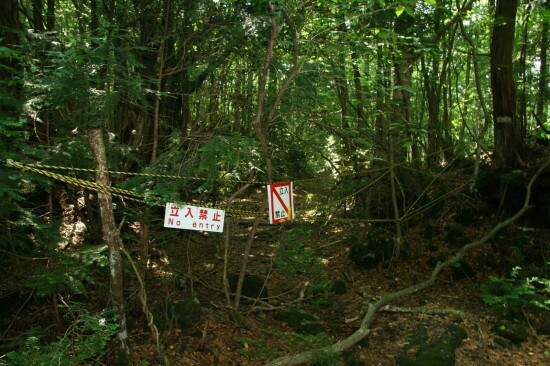 Aokigahara is considered the most haunted place in all of Japan, where the unsettled “yurei” (ghosts) howl their suffering into the winds. The noises heard here might be considered normal in most forests, but knowing the reputation of this place, people tend to freak out at the sound of squeaky branch. Of course, there are scary stories about the trees themselves being filled with evil energy along with centuries of suicides. Legends say there are massive iron deposits underneath the forest that cause compasses and other navigation gadgets to go haywire trapping both suicidals and innocent visitors. 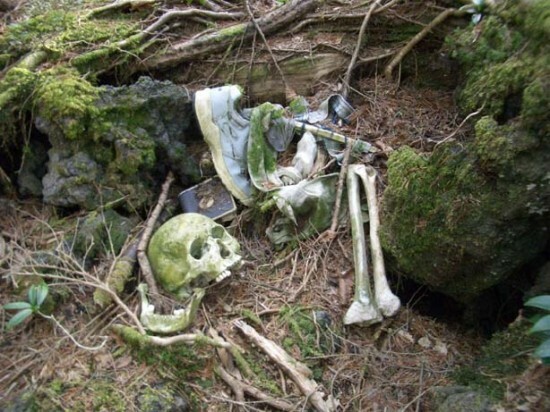 While Japan’s Self Defense Force, who regularly trains in Aokigahara says its military grade tools work just fine, they admit pretty much all commercially available equipment doesn’t. 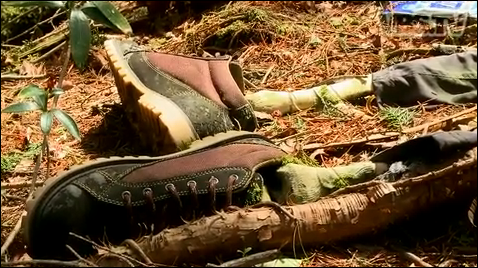 As haunted as these suicide woods may be, they still have to be taken care of by regular forestry workers. Occasionally, they stumble upon dead bodies in various states of decomposition, usually hanging by trees or partly eaten by wild animals, but instead of running the other way screaming, they are brought to a nearby station. Here they are deposited in a spare room with two beds in it – one for the body and the other for someone to sleep next to it. There is a Japanese believe that if left alone, the unsettled yurei will scream all throughout the night and move into the regular sleeping quarters, so the workers play rock-paper-scissors to determine which one will sleep with the body. 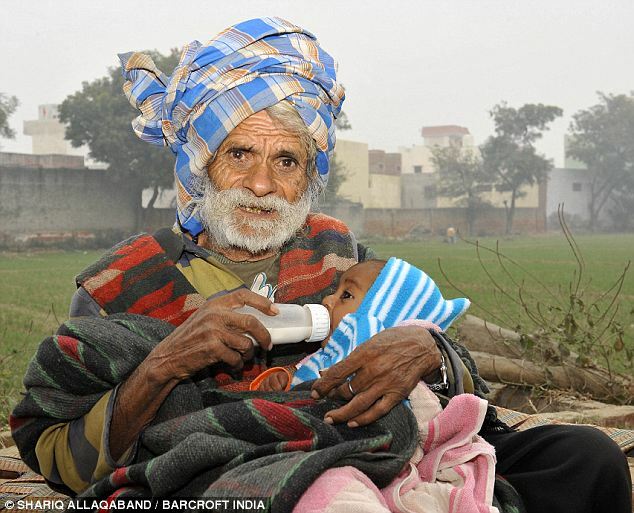 94 yr old Ramajit Raghav has claimed the title of world’s oldest father. 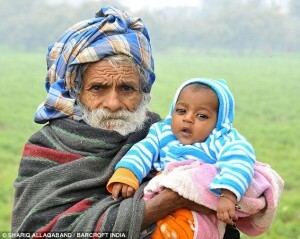 The women we really should be giving credit to is his 54 yr old wife Shakuntala Devi who gave birth to their first baby. I wonder how old the oldest mother is? Both Ramajit and Shakuntala are extremely happy and excited, considering baby Vikaramjeet was like a gift from god (God’s gift) and they planning on having a second child for next year. 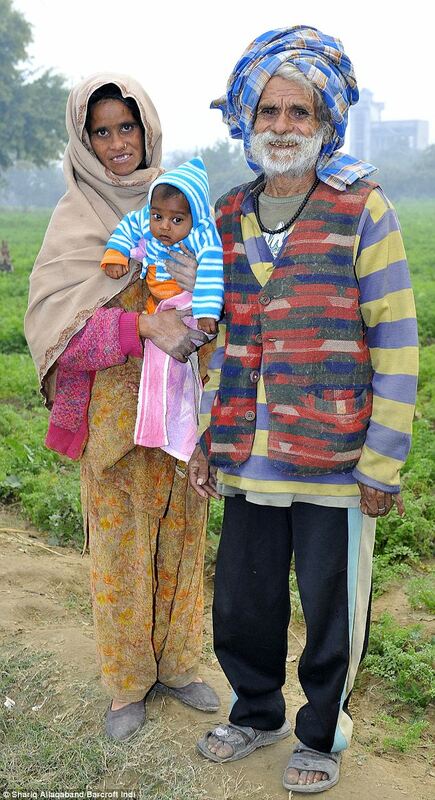 Although their ages are past the normal fertility period they feel they can pull it off. 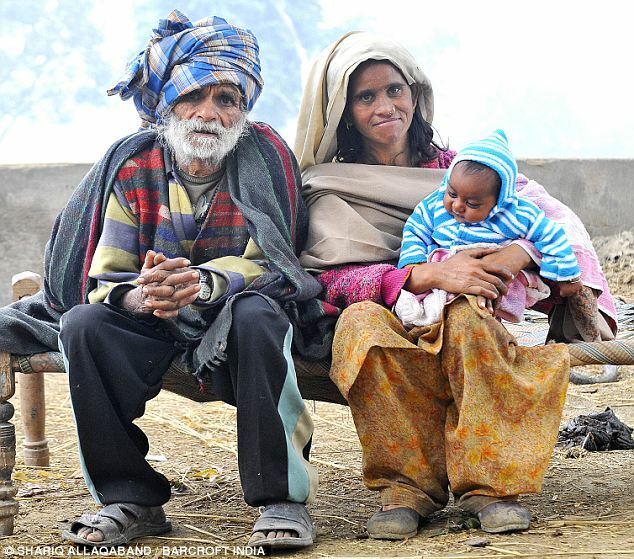 Ramajit, 94 years old according to the paper records, but he actually claims hes 100 years of age. Still, doctors say that, although it can’t be ruled out, having a baby at this age is a extremely unlikely. So a certain Charlie Chaplin video has gotten pretty popular and has gotten some pretty good circulation around our office here the past couple of day. Now keep in mind, we get a ton of random videos and clips floating around the office, and normally I wouldn’t be the guy to watch a Chaplin film, but after hearing the subject I had to take a look. 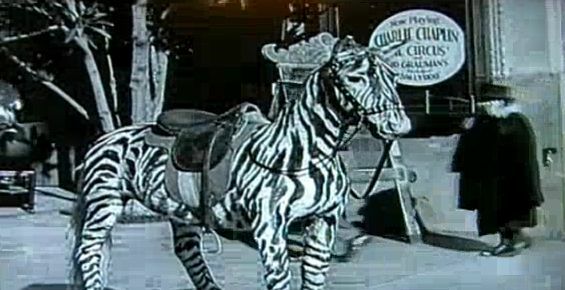 The story originated when a George Clarke out of Belfast, NI posted a video on YouTube with a clip from the Chaplin film (The Circus – DVD Extras) pictating a women on a cell phone. Now keep in mind, this is a film that was made in 1928, and accourding to a few sources, the first “handheld mobile radio device” was made available in 1973. 1928 and 1973… Those dates are pretty spread apart. 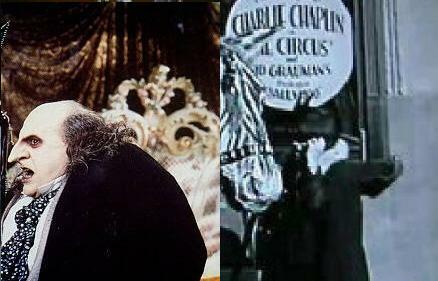 Now the video depicts a “supposed” old women with a dark hat, wearing a dark coat, similar to the clothing used in the 1920′s. You can see this women is obviously holding something in her hand, fingers are curved around something, and holding this object up to her ear (obviously similar gestures as using a cellular phone). George suggests it could be a “A time traveler”, or some crazy women holding a black piece of something to her ear. But the person was talking in the clip and even expressing emotion. George is convinced that the “piece of something” is a phone. Below is George Clarke’s YouTube video depicting the Time Traveler. Now I’ve read a few blogs about the mysterious “Time Traveler” and non so far have suggested a real feasible answer on who/what this could be. I’ve figured it out. Its The Penguin from Batman Returns. Lol. By Chris Ehrlichman. A Royal Courage production.